May your 2016 be healthy, prosperous, and filled with love and wisdom! I put together a video to describe my 2015 (#TeamLove has sent it out to the mailing list already). I’m looking forward to more soul-searching literary journeys in the upcoming year. And I hope to bring you along with me. God’s very best to you and all your endeavors! Give the gift of a L.I.P. journey! 4. Autographed paperback copies of all four books in the L.I.P. series. 5. A short update (story) on Azmir and Rayna mailed to your Kindle account. Find more information here. 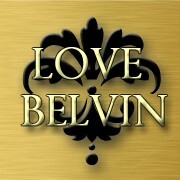 If you’re interested in joining, please email Info@LoveBelvin.com. One week: number one best seller ribbon and over 100 reviews. You guys are ‘dream commanders.’ Thanks for making this happen for me!